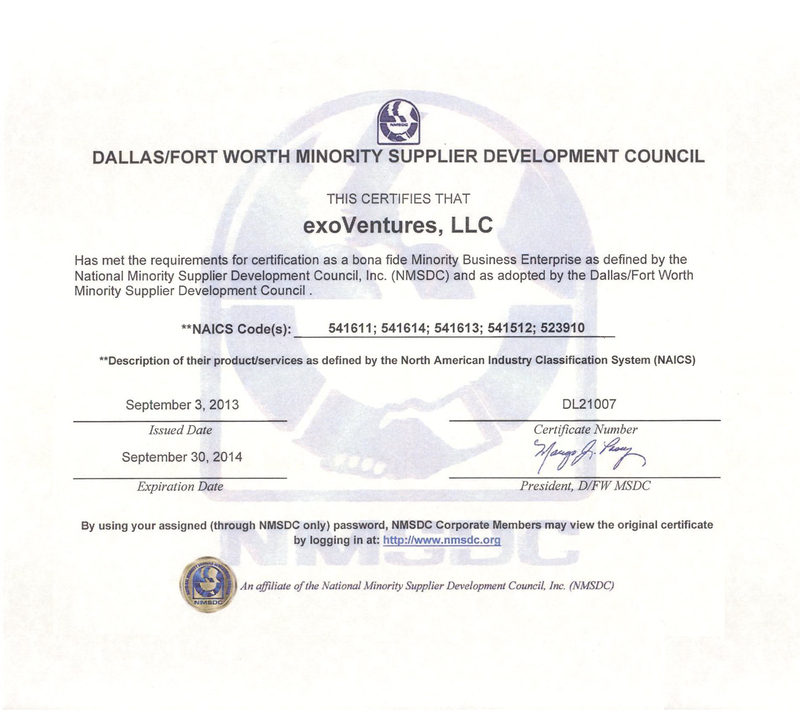 exoVentures, LLC is a privately owned company that provides business development, operational expertise, and capital for early stage & start-up product and technology companies. Engaged in providing operating advice and assistance to businesses and other organizations on administrative management issues, such as financial planning and budgeting, equity and asset management, records management, office planning, strategic and organizational planning, site selection, new business startup, and business process improvement. This industry also includes establishments of general management consultants that provide a full range of administrative; human resource; marketing; process, physical distribution, and logistics; or other management consulting services to clients.